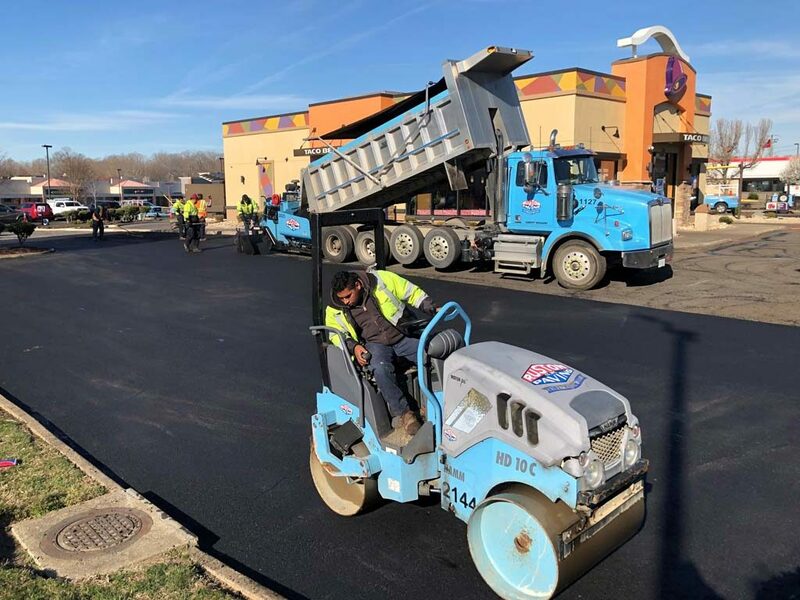 Our Central Virginia division recently completed work at a Taco Bell in Stafford, which is managed by BurgerBusters Inc. Both the milling and paving crews worked back to back days with phasing to keep the store operational during the construction. Hats off to our employees for providing an effective and safe work environment for themselves and the customers. BurgerBusters operates franchise organizations for Taco Bell in North America, and we’re proud to have completed multiple projects in the Virginia area for them.